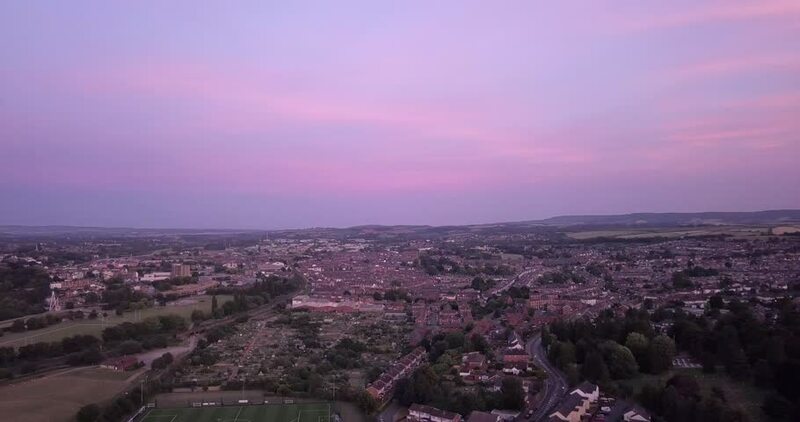 Panoramic aerial view of Exeter in Devon featuring trees and residential homes. 4k00:24Aerial Portugal Lisbon June 2018 Sunny Day 90mm Zoom 4K. Aerial video of downtown Lisbon in Portugal on a sunny day with a zoom lens.